I'm so pleased to share another project from Improvising Tradition Improvising Tradition with you today. 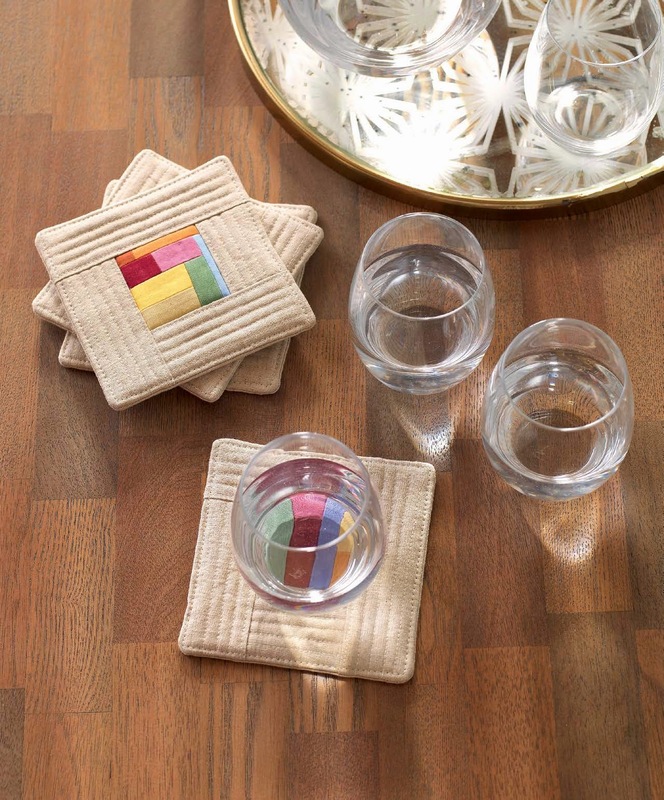 This project, the Jewel Box Coasters, is from the strata section of the book. 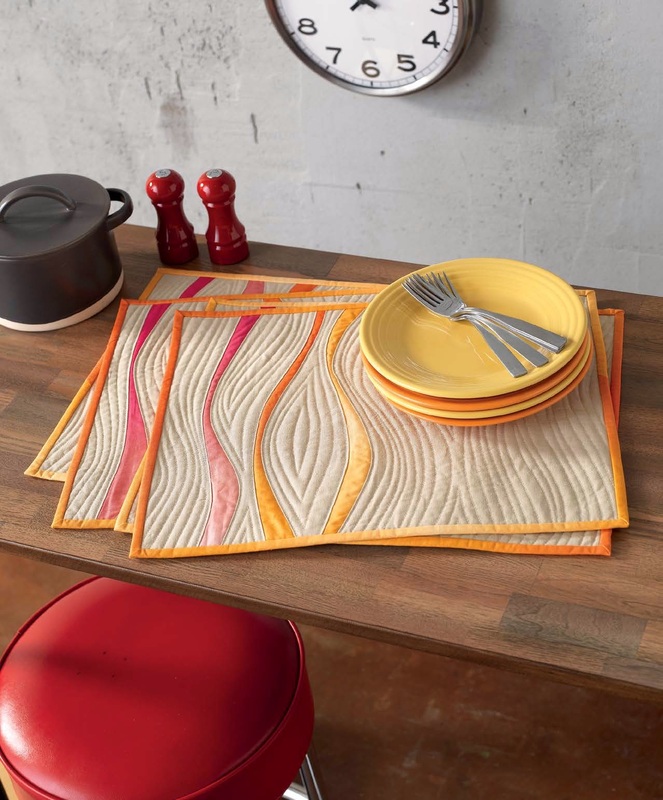 It pairs miniature strata piecing with quilt-as-you-go to create these functional and beautiful coasters. 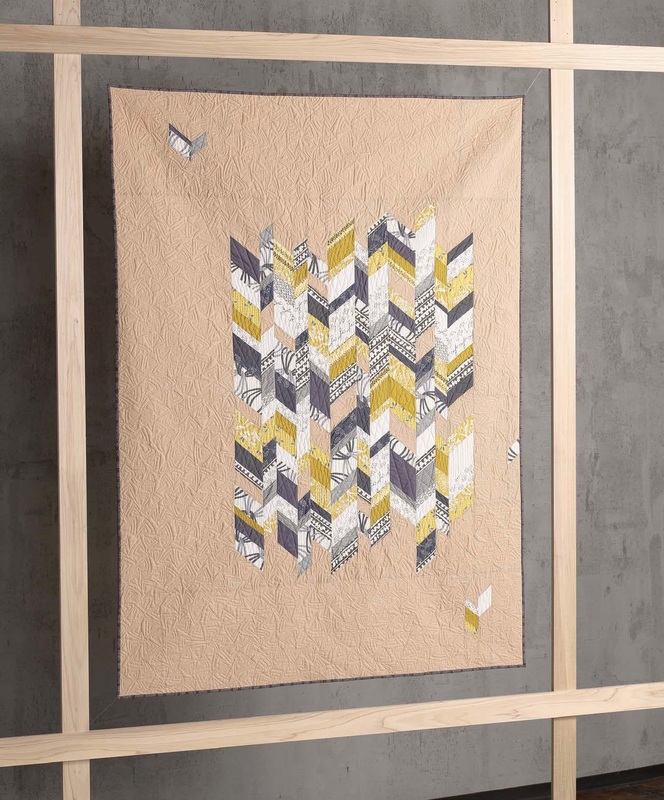 I love how the quilting and Essex linen frame the improv center. The exciting news is that you can read an excerpt from the book and download the project for free over on Sew Mama Sew today! SewPsyched. Congrats! I have sent you an email requesting your contact info so the publisher can send you a copy of the book. 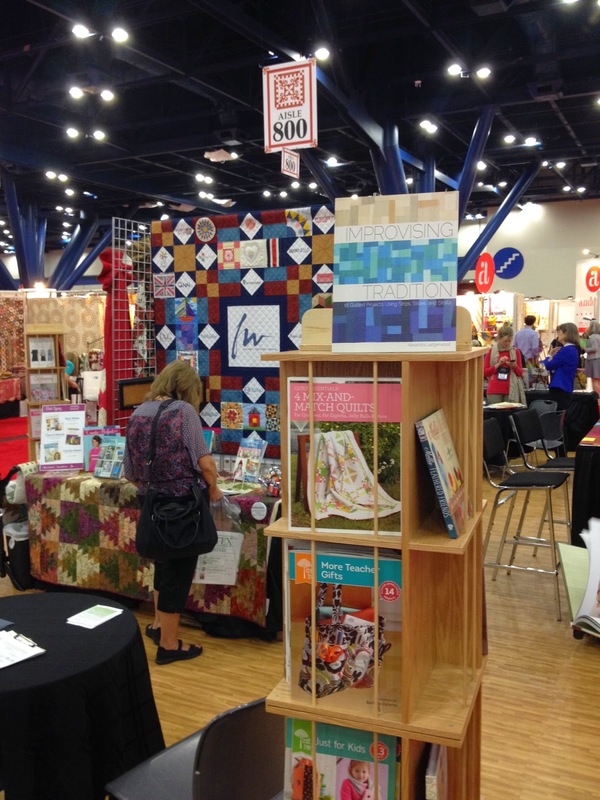 While I did not attend Quilt Market this past weekend, the book was there! Lauren caught this picture of it on display in the F & W Media booth. Improvising Tradition Sneak Peek, Video Promo, and a Giveaway! With a little over a month before Improvising Tradition hits the shelves, I'm pleased to share a little video promo created by my publisher, Interweave Craft. Thanks to Alison Korleski for the lovely introduction. Here is another sneak peek from the book, as well. This quilt, Shattered Chevrons, is from the Strips section of the book. I show you how to create the irregular chevron design, shattering into the negative space, using simple strip sets and an easy to follow pattern. I'm excited to offer a copy of the book to one of you! To enter the giveaway (for US residents with a street address only as it will be shipped by the publisher), please leave a comment. I will choose a winner on Monday morning. I will announce the winner here on the blog and contact you by email, so be sure I can reach you. You can comment however you would like, but if you feel like sharing, tell me what improvisational technique you would most like to try. 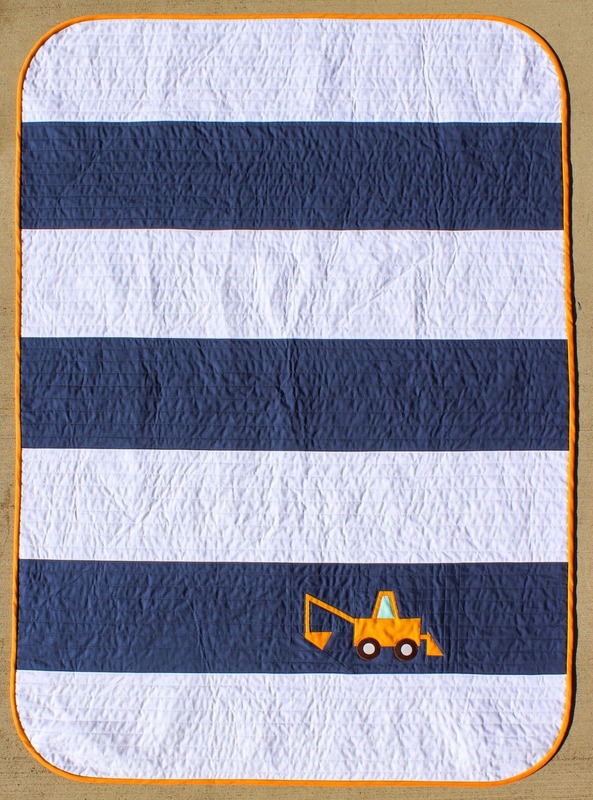 This little quilt was inspired by a quilt made by Alidiza which featured a single block (Preppy the Whale by Elizabeth Hartman) within a simple stripe. I thought it was the perfect way to use a single paper pieced block, and naturally my Busy City blocks came to mind. I enlarged one of the 4 x 6 blocks by 200% to make an 8 x 12 block. This works particularly well with any of the more complex blocks in the pattern. The good news is they are even easier to sew in this larger size. 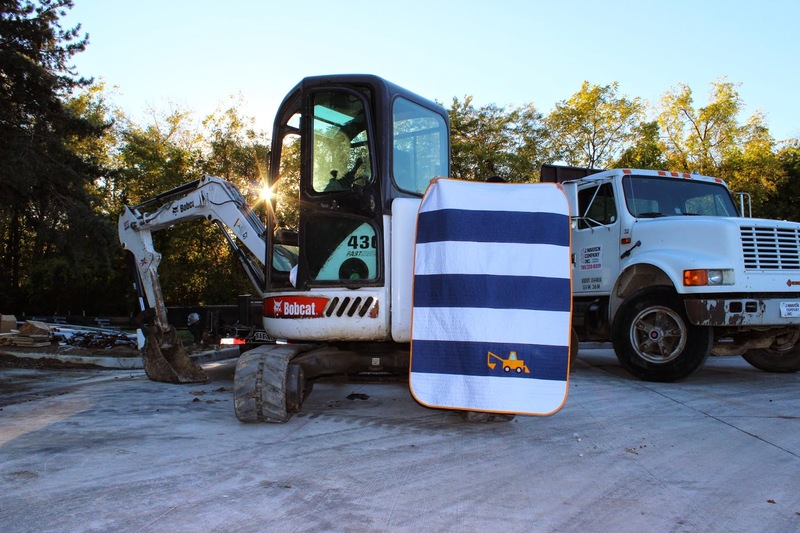 Don't tell the other blocks, but this backhoe digger has always been my favorite in the set, so it was fun to feature it. 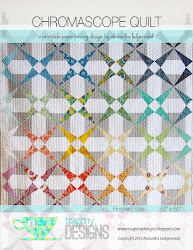 I backed the quilt with a great crosshatch by Carolyn Friedlander from her Architextures line. 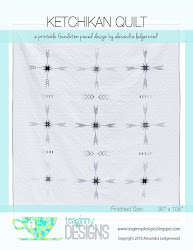 The print blends really well with both the white and navy thread I used for the quilting. I chose rounded edges and bias binding to finish the quilt. 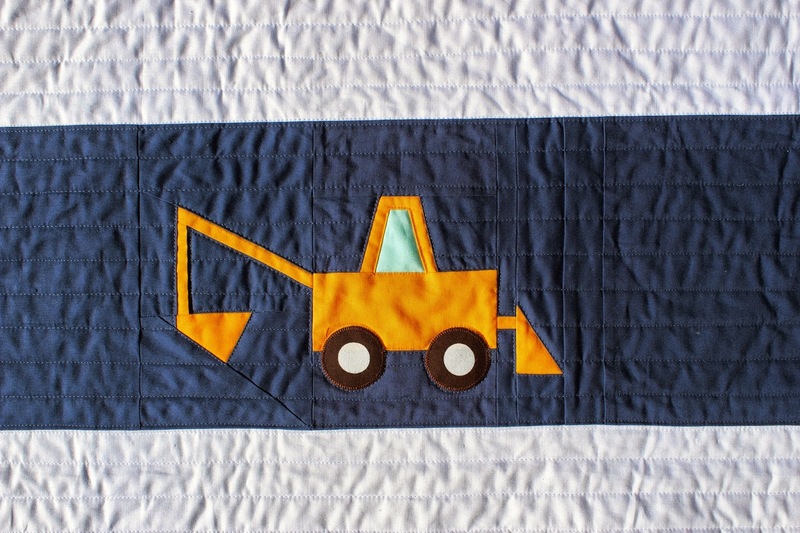 This 40 x 56 quilt is a great size for preschoolers, and it sews up so quickly! You can definitely make one in time for that upcoming baby shower or birthday party or to send to school with him or her for naptime. And the great thing is that you can let your little person choose the block they like best (there are 35 total in the pattern, with plenty to appeal to girls too). 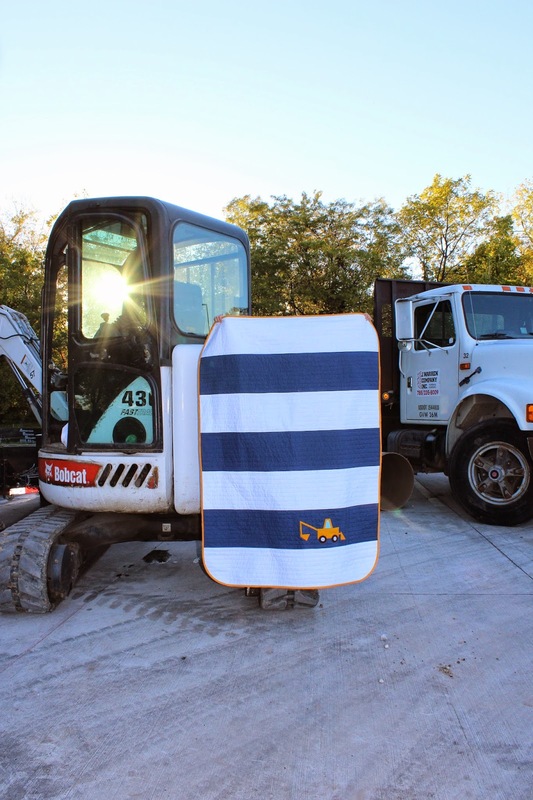 I'd love to see your Busy City projects. Upload them to the flickr pool or tag them #busycityquilt on Instagram. (Note, if you decide to enlarge a block, be sure to adjust the seam allowances around the edges to 1/4 inch.) This quilt is available in my etsy shop. 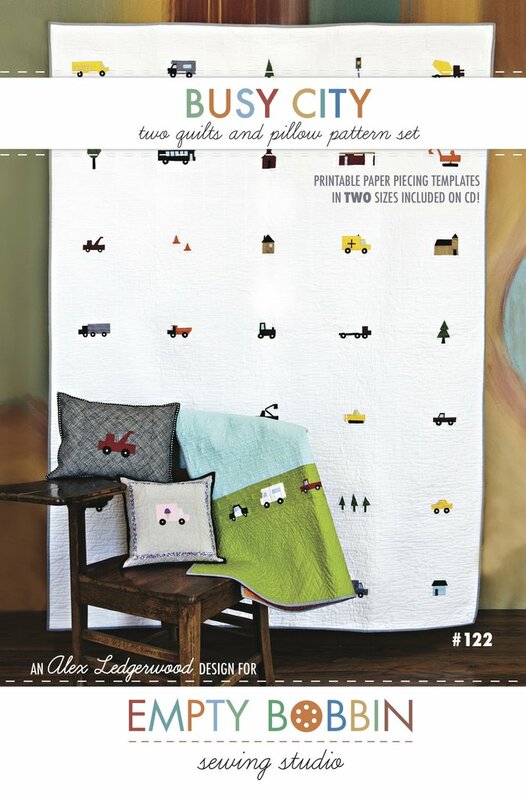 I'm excited to share another project from my new book Improvising Tradition. The Ribbons Placemats are found in the Slice and Insert section of the book. This pattern shows you both how to cut and sew curves improvisationally. 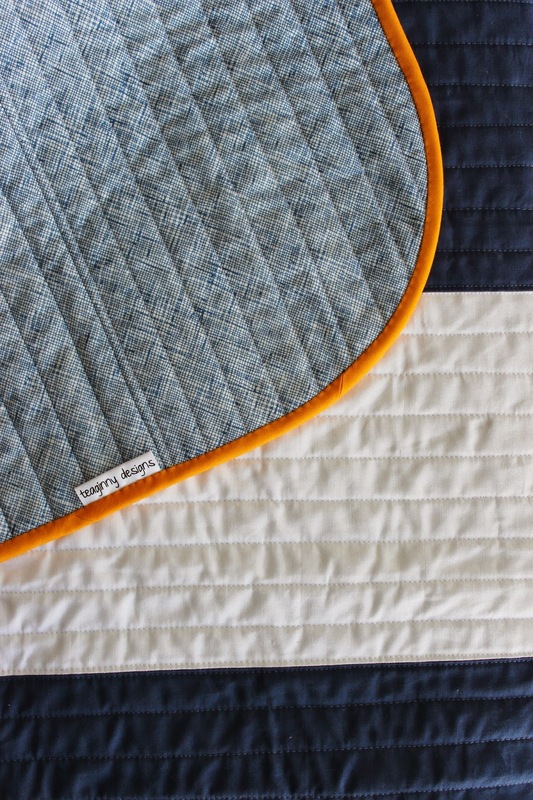 These are great skills to add to your toolbox of quilting techniques. The ribbon-like flow of the curved pieces is emphasized by the quilting on the Essex linen as well as the use of ombré fabrics. All the elements combine to make a very simple design into one that is so dynamic.